Triathlons are crowded fields of swimmers, bicyclists and runners. Local triathlete Teresa Cuthbertson-Kliegerman grew up in a crowd — in a Denver household of 11 — and that likely prepared her for the popular three-sport events. 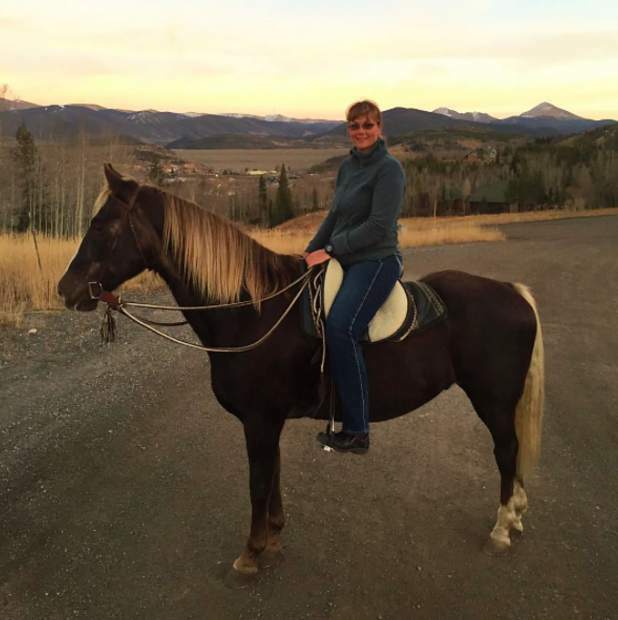 A fourth-generation Coloradan, Teresa has three sisters and five brothers, all of whom now live in Colorado. Mike Cuthbertson of Frisco and Vail is one of her siblings. He and wife Betsy are parents to ski racer Paul Cuthbertson. 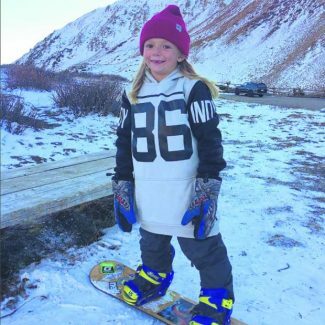 “I was born in Denver, and before living in Frisco, I lived in Los Angeles, London and Vail,” she explains. That California living came when attending Occidental College, a private, co-educational liberal arts school in the historic Eagle Rock neighborhood. President Barack Obama is an alum. Teresa graduated with a degree in English literature and a minor in philosophy. Today, at 49 years old, Teresa, the eighth child of nine, just took second place in the Naples, Florida, HITS Triathlon, in the “Sprint” category for women 50-54. Last year she completed the course 2 minutes faster, but placed third. Teresa’s event started with a 750-meter swim (open water in the Gulf of Mexico), then it was 12.4 miles on her bike, followed by a 3.1-mile run. She covered the distance in 1 hour, 25 minutes. HITS (Horse Shows in the Sun) is the world’s leader in hunter and jumper horse shows. In 2011 it expanded offerings to human athletes with its tri series, staged nationwide. HITS tri events range from the “Open” (100-meter swim, 3-mile bike ride and 1-mile run) to the “Full” (2.4 miles in the water, 112 miles on your bike, topped off with a full 26.2-mile marathon). “I’ve been doing the HITS tri for three years. The first year, I was first in my age group, last year I was third, and this year I was second. I was actually slower this year in the run, and overall (faster in swim and bike though) — looking on the bright side,” Teresa says of this year’s effort in the three-sport events she started competing in back in 2001. Her favorite parts of triathlon are the swim and the bike. “I have a love/hate relationship with the run,” Teresa notes. Joining her for the Florida tri were husband Roger’s second cousin and his wife, Stephen Liegeman and Allie Baldassari-Kliegerman, who live in Bronxville, New York, and have a second home in Naples. Stephen is in real estate and Allie in banking. “A couple years ago Allie wanted to do her first tri, and I found a cheap flight and flew out to do it with her. Then last year, Stephen joined in the fun, and now it’s our annual thing to get together in January in Naples and have a great time. 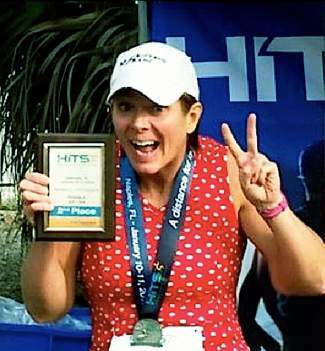 HITS is a wonderful triathlon organizer, and the event is loads of fun,” says Teresa. The Florida event is one of several Teresa does annually, with the others on Colorado’s Front Range, and over in Fruita and Grand Junction. Although Teresa will not hit 50 until December, USA Triathlon rules require that competitors enter in the age they’ll be in at the end of the calendar year, so she competes in the 50-54 age grouping this year. 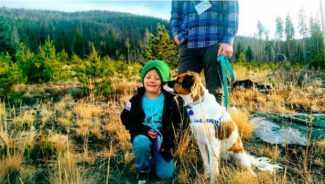 When not pursuing her athletic endeavors, Teresa is mother to son Jack, 14, an active Summit Middle School eighth-grader. 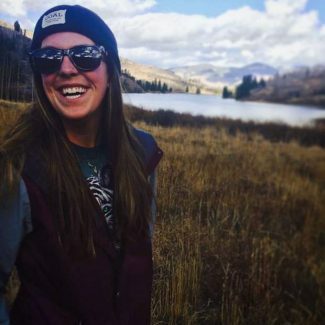 In addition to her busy roles as athlete, mother and wife, Teresa works full time over in the Vail Valley as director of product management at Ryan Solutions. Prior to that, she was the lead business analyst at The Active Network, and senior business analyst/project manager at Rtp LLC. The Kliegermans call Frisco home, having moved here in 1993. They met in Denver in 1990, started dating in 1992 and will celebrate their 20th wedding anniversary in April. Roger is a salesman for Western Slope Supply, and has been with the firm for 10 years. Spotted out and about here on top recently have been locals Suzanne Rochford, appraiser Mike Bohlender and massage therapist Peggy Stafsholt; extended ski vacationers John and Jean Nonenmacher of Demarest, New Jersey (their 14th year); back from Tampa, Florida, is skier Harry Williams, who is staying with Jim and Connie Bull; and Spike! chatted with Bill Korn of Leadville, the Temple Israel Foundation leader. Congrats go out to Tor Brunvand, the popular county commissioner here long ago, for being named the New Hampshire Lodging and Restaurant Association’s Innkeeper of the Year — 2014. Tor’s kids still dot the Colorado landscape. 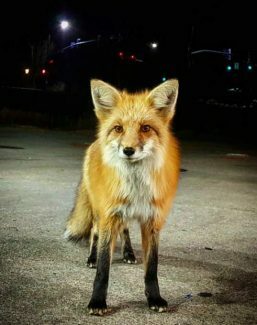 Greg Hess called Spike! to say the Summit High is in need of baseball team assistant and JV coaches. Visit the school’s website or contact Head Coach Tom Looby at (970) 406-0875.